Globe Telecom announced that they will be offering the Apple iPhone 6s and iPhone 6s Plus, the latest and most powerful iPhones ever, beginning on November 6, 2015. 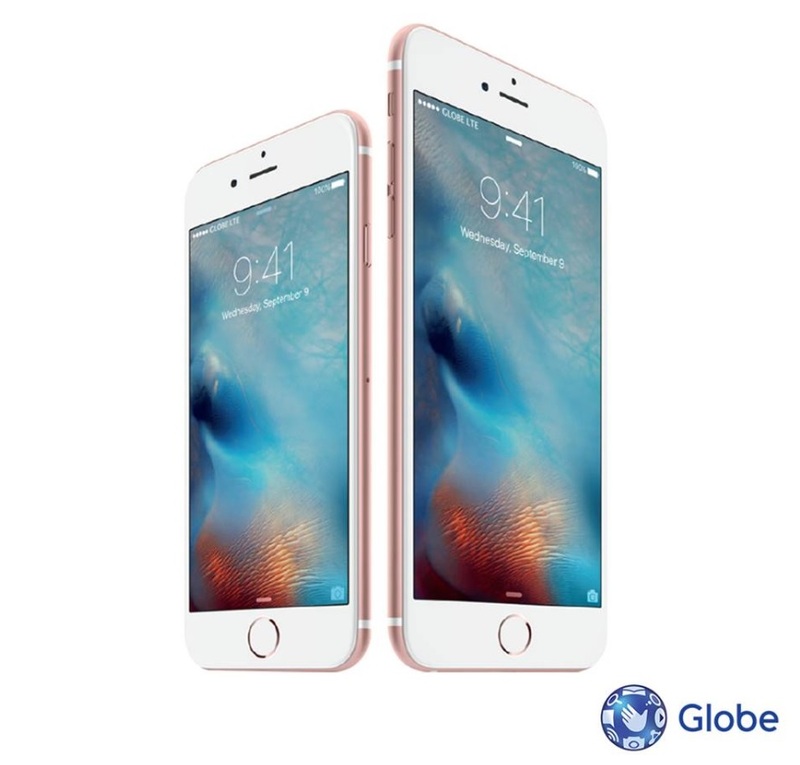 The Apple iPhone 6s 16GB variant is available on Plan 1799 with corresponding monthly cash out fee of 450 pesos under a 24-month lock-in period. Meanwhile, its bigger brother, the Apple iPhone 6s Plus 16GB variant will also be available under the same plan, but with 650 pesos monthly amortization fee. Under the Plan 1799, Globe subscribers can enjoy the best of both worlds with bigger 10GB of mobile data per month, free access to HOOQ, Spotify Premium and top mobile games for 3 months, free access to Facebook, Instagram and Viber all throughout the contract period, unlimited calls to Globe and TM plus unlimited texts to all networks for two years. The Apple iPhone 6s and iPhone 6s Plus are powered by the revolutionary Apple A9 chipset with 64-bit architecture that has 1.84GHz dual core Twister processor and six-core PowerVR GT7600 graphics bundle with 2GB of RAM for multitasking. It also has the most advanced iSight camera yet that can capture stunning 12MP still photos and record up to 4K videos.